Many books written for psychiatrists, psychoanalysts, psychotherapists about their field of practice contain a strong undercurrent of defensiveness. Criticism from professionals within the field itself, the most notable (or notorious, depending on one’s perspective) being Thomas Szasz, regarding the dogmatism and unsupported assumptions on which many schools of therapy are built has led to a reactionary circling of wagons to fend off “the enemy.” This is an unfortunate situation that has promoted the continuation of problematic elements within the practice, and has served to alienate practitioners who try to take the more-logical response of addressing those issues that are drawing the most fire. The book The Challenge to Psychoanalysis and Psychotherapy is a welcome change from this pervasive “us-against-them” attitude in that it is a critique of psychiatry, psychoanalysts, and psychotherapy professors of psychiatry, training analysts, heads of university and hospital psychiatric departments, presidents of various mental-health associations, and so on. These open and honest self-evaluative essays combine to form a critique, not a criticism, of the field in that they are a general endorsement of the practice but at the same time a call for specific changes and often substantial improvements. This book is published under the imprint of the American Mental Health Foundation, which is devoted to, in its own words, “bettering the quality of mental health treatment and developing more effective methods, affordable even to low-income wage earners.” The volume is presented within the series In Search of the Future as a companion to Crucial Choices—Crucial Changes: The Resurrection of Psychotherapy, published in 2001. It contains 22 essays divided into four main parts. Part 1 contains essays offering a European point of view; part 2 enquires into the future of psychoanalysis and psychotherapy in terms of the stability of its basic premises and the quality of future practice; part 3 is a focus on what are considered to be promising developments in psychotherapy, such as affordability through group work and greater effectiveness in the use of hypnotic trance; and part 4 considers public-interest issues such as future mental-health care policy and the relationship between mental health and the law. The five chapters in the first part give an interesting comparison of both the history and the current expansion in Western Europe of psychoanalysis in contrast to its recent decline in popularity in North America. The voice of the remainder of the book is predominantly American. Although there is not enough room in a review to discuss each essay individually, a few of the chapters are worth mentioning in some detail. In chapter 6, Robert S. Wallerstein gives an informative summary of the history of, and changes in, psychotherapy in America before explaining what he perceives to be two of the major problems in the field today: first, “extremely meager training demands” (less than 600 hours of individual psychotherapy work) when compared to his own psychoanalytic training in the 1940s (3,000 hours), and second, the chilling effect of limitations placed long-term treatment by cost-conscious private-insurance carriers. This chapter sets the tone for the rest of the book. In fact, the issue of the undermining of long-term therapy by insurance companies and governmental health-care systems, and the worry that in the future, psychoanalysis will be affordable only to the very rich, is a recurrent theme throughout the book. In chapter 7, Stephen A. Appelbaum clarifies professional concerns facing psychotherapists by dividing them into “internal” and “external,” with “internal” including training that is too expensive and too short, too focused on having psychotherapists see themselves as scientific researchers, the desire for status and money, and so on, and “external”including competition to psychoanalysis from other forms of therapy, counseling, and the self-help movement, patients demanding short-term results, and, again, the economic restrictions placed on proper analysis by third-party insurance providers. In chapter 11, Jerome D. Frank cites research data concerning the efficacy of various kinds of psychotherapy which simply sweeps away a large part of the dispute concerning the superiority of any particular therapeutic approach over all others. He states that “the relationship with the therapist is a necessary, and perhaps a sufficient, condition for improvement in any kind of psychotherapy,” and he goes on to cite a study that concludes that “successful patients rated the personal interaction with the therapist as the single most important part of their treatment. He reinforces these findings and downplays the efficacy of any one “school” of psychotherapy when compared to the importance of the therapist’s personality. My concern is that the research data cited by Frank was published in the 1950s and 1970s. This raises two very important questions: Does this data still hold today? and if there is no more recent data on this issue it is because the original data is considered just too unconvincing to revisit, or because they are exemplary studies that simply don’t require corroboration? Chapter 14, written by editor de Schill, is powerfully written. It focuses on concerns within the profession, such as the need for improvements in research and treatment methodology, the scientific status (or lack thereof) of psychoanalysis, the problems created by generalizing theories and adherence to dogma, and the verbose and often erroneous theorizing found in academic literature. For example, de Schill writers, “Many of the academic writings in or field are by professionals with little of no competence who make innumerable references to other writers of little or no competence. . . . Their abstract realm, proof and disproof are impossible. . . . Of the may who write about psychoanalysis, surprisingly few actually practice it. According to the best available information, and not counting training analysis, the figure is estimated to be around 5 percent.” it is rare but refreshing to find such an honest critique coming from within the profession. 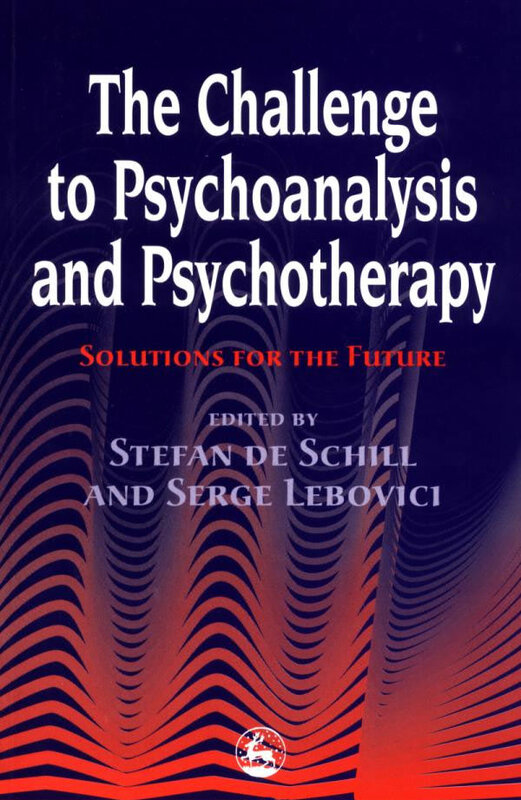 Chapters 15 to 18 deal with the benefits (such as affordability) and pitfalls (such as forced conformity) of group therapy, and examine various therapeutic methods considered complimentary to psychotherapy, such as hypnotherapy, relaxation techniques, and biofeedback. The final chapters, from 19 to 22, discuss improvements in health-care policy in the US, changes in mental-heath organizations and agencies in relation to self-help groups and a preventive approach, and the relationship between the law and psychotherapy in terms of who is responsible for patient care, the protection of patients from incompetent practitioners, and the role of litigation in the improvement of mental-health care. Again, many of these chapters voice concern over the fact that patients will have little or no third-party insurance money available to them in the not-too-distant future. Most readers will no doubt identify with one criticism offered by the late Serge Lebovici of France: “Certain texts written by psychoanalysts are quite obscure and their style is so affected that they become incomprehensible. However, the present volume is exempt from this fault since it is easy to read and generally interesting and thought-provoking. The main criticism I have to offer is that the “challenges” to psychoanalysis and psychotherapy mentioned by the various authors tend to be somewhat repetitive. But this is understandable in light of the fact that each author was asked to write on the title-theme of the book without knowing what the others were discussing. The repetition can be seen as confirmation that the problems where clearly evident and of equal concern to each author. As a final word, I would like to say that de Schill and Lebovici, the editors of this book, gain my highest praise for having included an excellent 25-page subject index as well as a 4-page author index, which offer readers easy access to the information contained in each of the various essays.